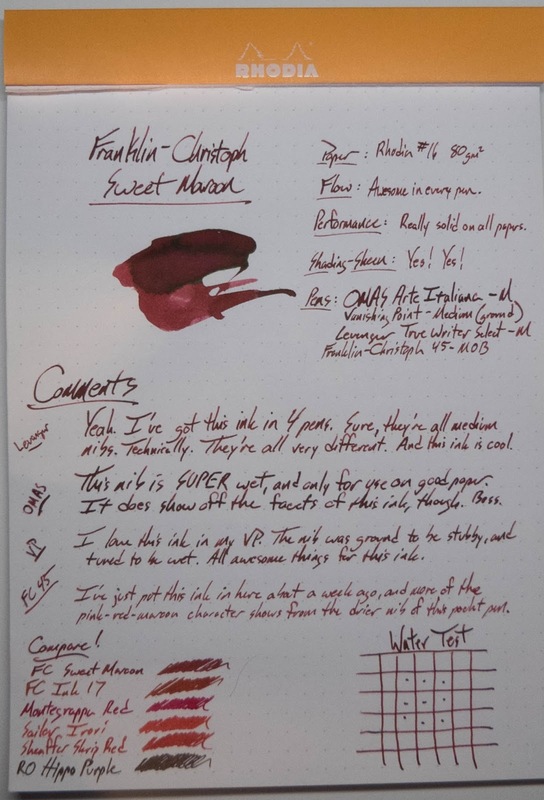 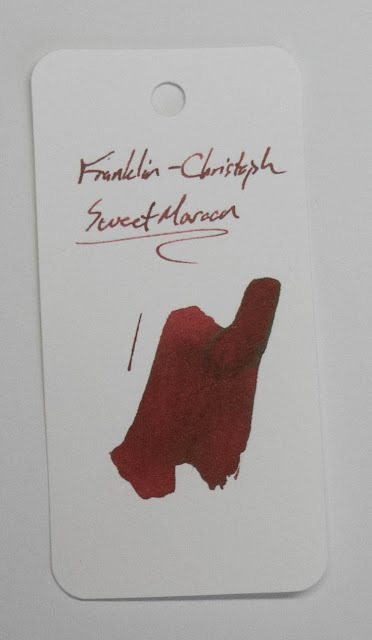 A new Franklin-Christoph ink! When Audrey told me that the new color was called "Sweet Maroon" I wasn't sure what to think about that. 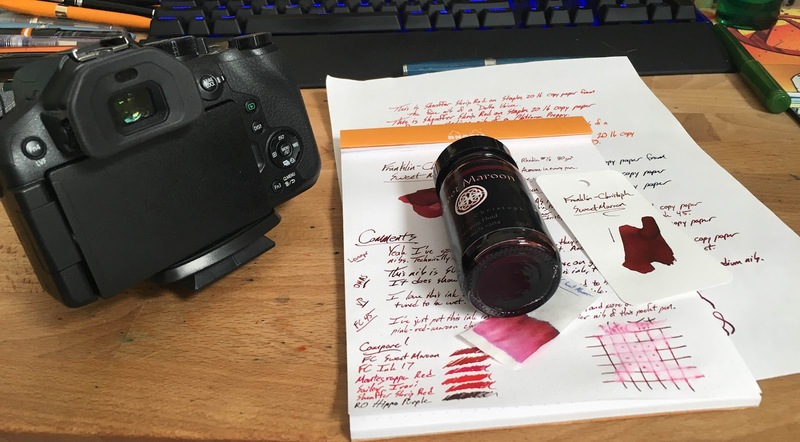 I wasn't sure there was room between the Urushi Red and the Terra Firma and the Red 187. 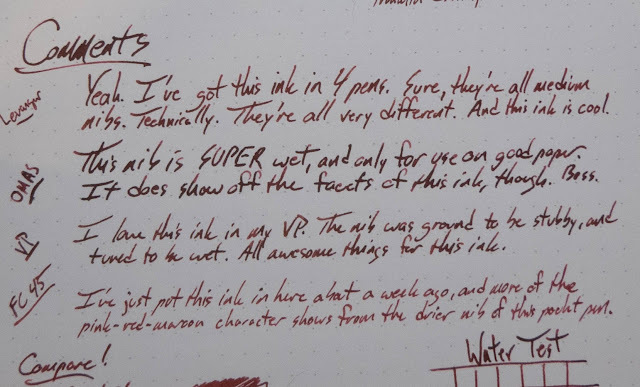 They found a space, though, and it's a cool space. Sweet Maroon is a beautifully shading ink with dark reddish tones and pinkish highlights, and (if you put down enough of it) a green sheen. 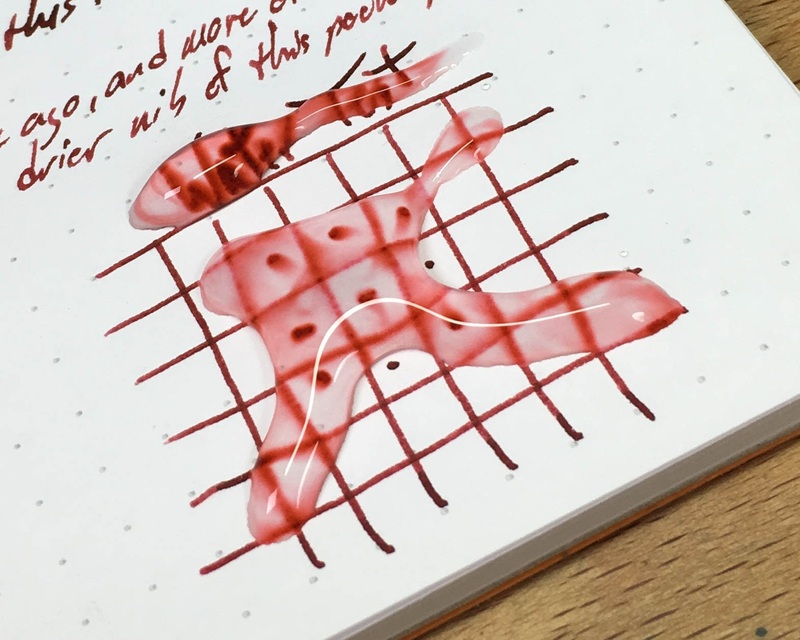 This is an ink that can really change its character according to the pen you put it in. Below, you'll see it in a range of medium nibs, but they're very different medium nibs. 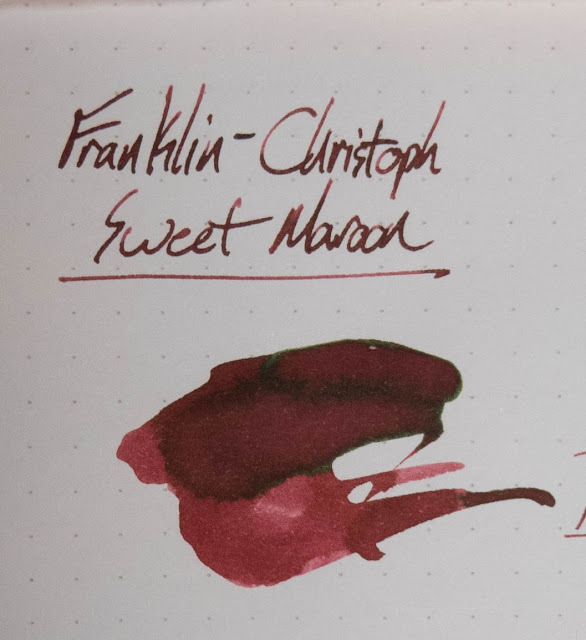 The short story is that I really love this ink. 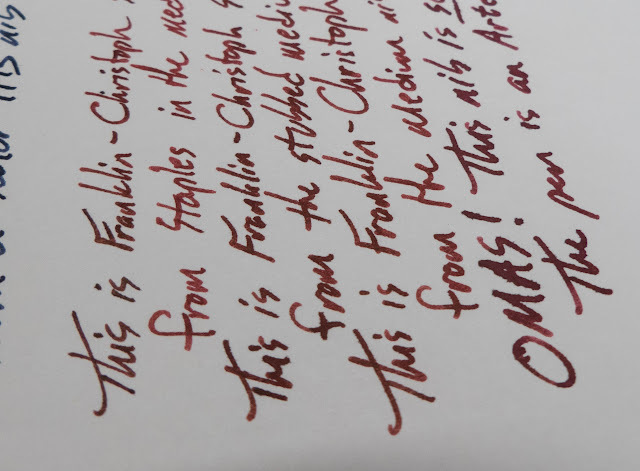 I just kept putting it in pens. 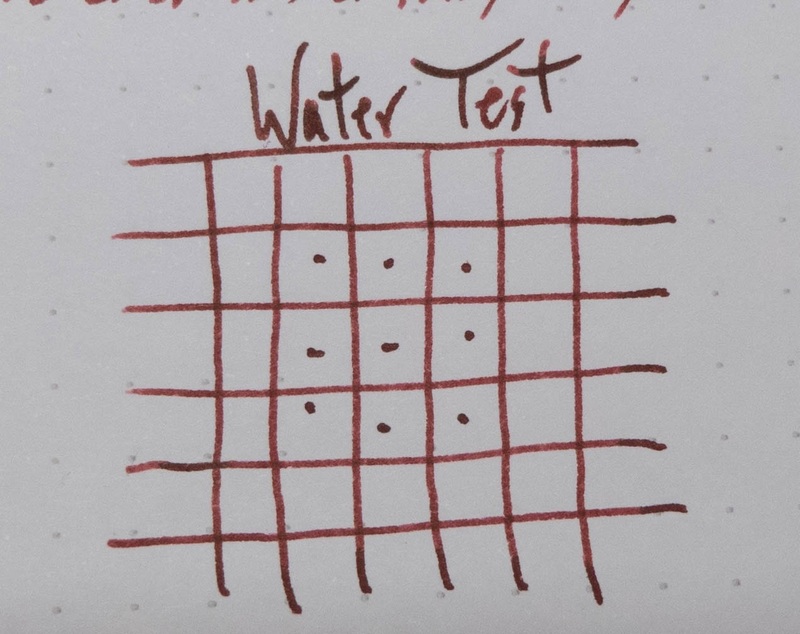 It's in at least 4 of them right now, and maybe more. 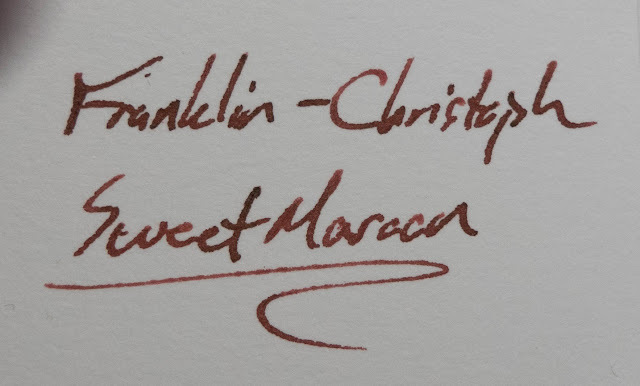 Check it out below and let me know what you think. Here's a link to a whole album of other comparisons for Sweet Maroon. 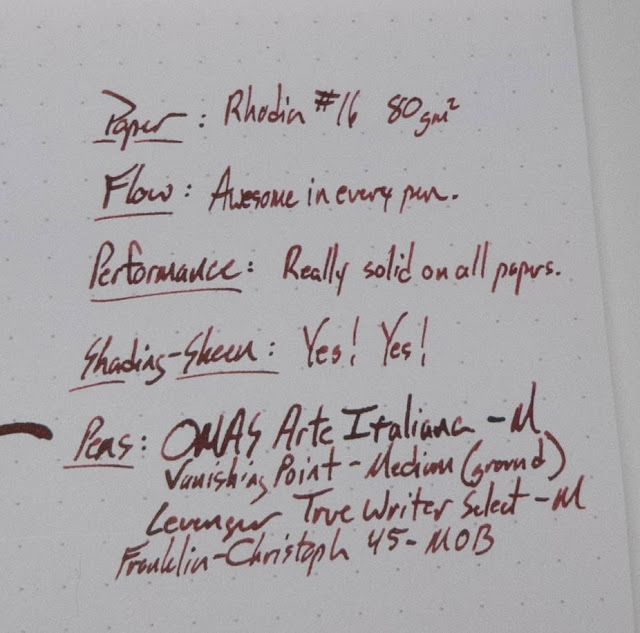 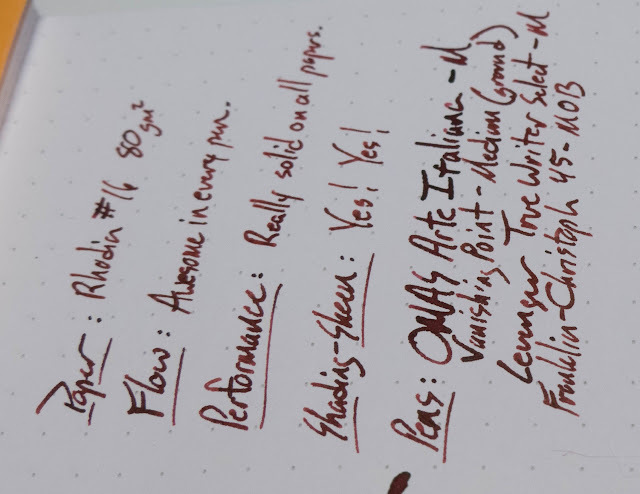 Tomoe river paper is pretty good at showing the character of inks that shade and sheen, so it's really good for this ink. 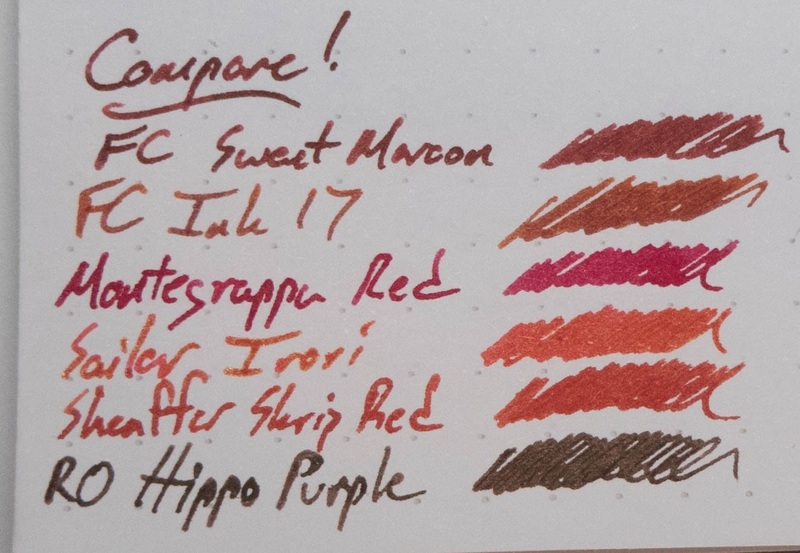 I left in the sample of the Robert Oster Hippo ink because it's pretty cool (and limited to this kickstarter), and I'll have a review coming out for it in a few days. 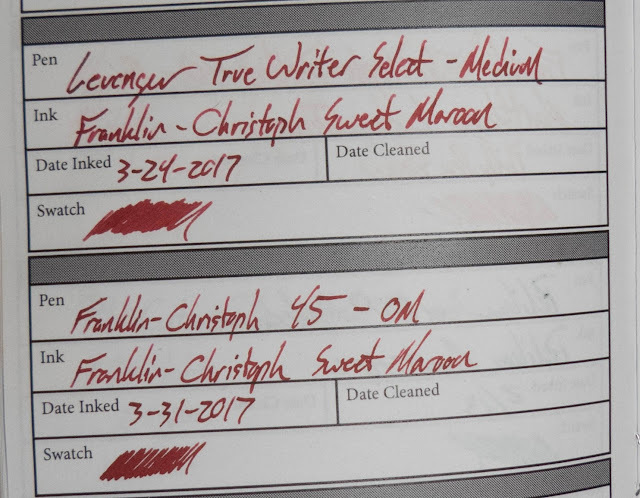 Find the current version of these books here. This is a really common sort of paper to find in offices and schools, and the Sweet Maroon performs very well on it. 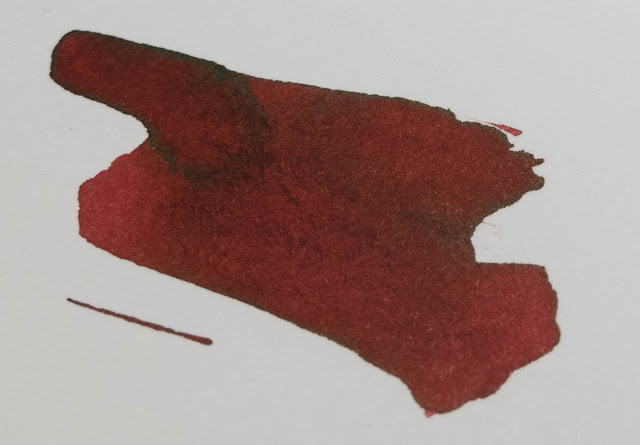 The only real bleeding/feathering/and spreading issues came from the massively wet OMAS nib. Even there, though, it does better than a lot of other inks. It's pretty impressive. These new Col-o-ring books are pretty great. Check them out. 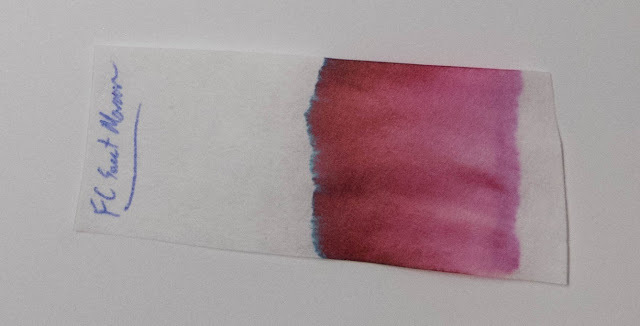 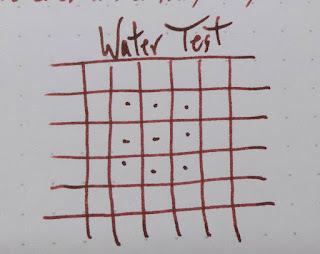 This isn't the most water-resistant ink, but it does leave behind a readable remnant in a sort of pink hue once you soak up the water.